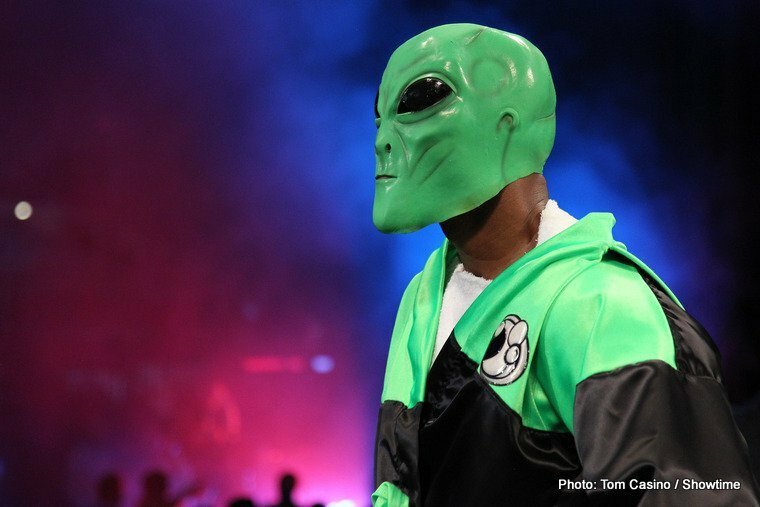 IBF Light Heavyweight Champion Bernard “The Alien” Hopkins (54-6-2, 32 KO’s) became the oldest fighter in history to defend a world title, breaking his own record by defeating European challenger Karo Murat (25-2-1, 15 KO’s). 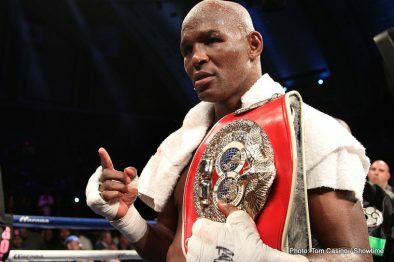 The 48-year-old “Executioner” turned “Alien” out-worked and out-brawled his 30-year-old challenger and won via clear unanimous decision in front of his hometown crowd at Boardwalk Hall in Atlantic City. 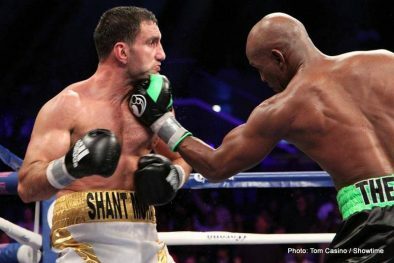 The fight, promoted by Golden Boy Promotions in association with Caesars Atlantic City, headlined an entertaining three-fight SHOWTIME CHAMPIONSHIP BOXING event. 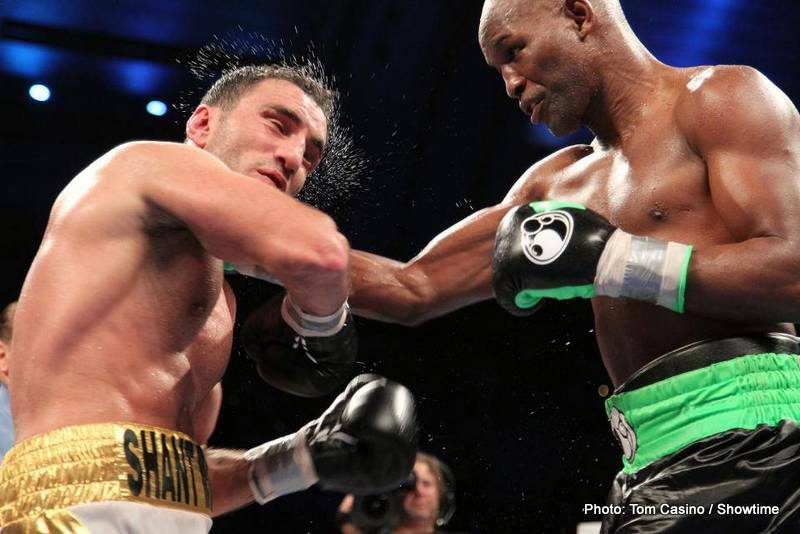 Hopkins appeared to start the night slow, but Hopkins’ combinations, speed and power grew each round. 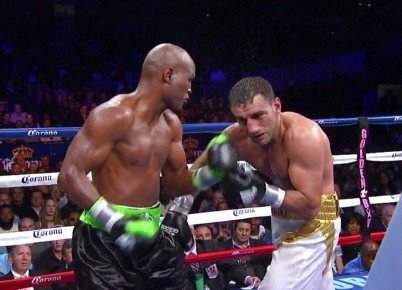 By the seventh, Hopkins and Murat exchanged wild power shots in spurts for the rest of the bout. Amidst these exchanges, Hopkins used his signature defense, angles and gamesmanship to mentally and physically deflate Murat. The judges scored the fight 117-110 and 119-108, twice for the champion.